"It was an amazing end. I had to hang in there. Great credit to Stuart. It was a great final because so many frames went back and forth," he said. "To win an event does not happen very often, so I am really happy." The £70,000 prize money for winning took Robertson's career earnings past £4m. 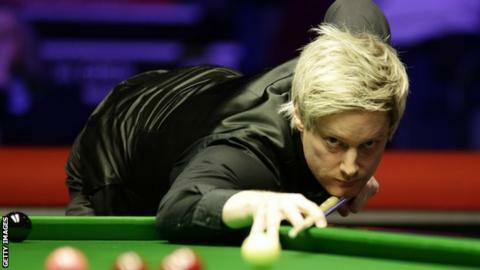 Robertson, who won the tournament in 2007, reached the final by thrashing Iran's Hossein Vafaei 6-0, while 2017 champion Bingham produced four centuries as he beat Joe O'Connor 6-2.